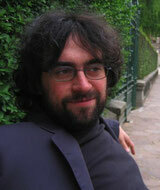 Pietro Bianchi works at the Department of Romance Studies at Duke University, North Carolina. He was previously Research Fellow in the Theory Department of the Jan Van Eyck Academy in Maastricht (2009-2010). He has published articles on Lacanian psychoanalysis, film studies, and literary theory. His monograph Jacques Lacan and Cinema: Imaginary, Gaze, Formalization is forthcoming in 2017 with Karnac Press. He is a member of the Milan based OT/Orbis Tertius – Ricerche sull’immaginario contemporaneo and works also as a film critic for the Italian magazine Cineforum and the web journals Doppiozero, Le Parole e le Cose and Connessioni Precarie.